The best computer for video editing provides optimal performance for running Adobe Premiere Pro, Avid Media Composer, After Effects, Maya, and other professional editing programs. Rendering and encoding footage at HD and higher resolutions demands a mid- to-high end CPU and a good amount of DRAM. Which components provide the non-negotiable performance needed for the job? Which ones provide the nice-to-have benefits that fall within your budget ranges? We’ll ferret all that out in this post. Here’s a quick set of component recommendations for the best computer for video editing at several price increments. Windows PCs are the primary focus here. Learn more below the table about how I arrived at these, and viable substitutes for each. How many cores are ideal? Puget Systems’ benchmarking of multi-core processors with Adobe Premiere says more is better—to a certain point. The figures below show where CPU cost-to-performance ratio is the most efficient at each level of video editing. Performance gains flat-line for Hyper Threaded CPUs with more than 10 cores physical cores, or 20 logical cores. Operating frequency is a determining factor for computer responsiveness as well. The sweet spot for Adobe Premiere Pro is 8-12 logical cores, and a clock speed above 3.0 GHz. It makes sense, then, that the Intel Core i7-6700K (logical 8-core, 4.0 GHz) is popular processor for professional video editing workstations. High-end systems with an Intel Core i7-6900K (logical 16-core, 3.2 GHz) or an Intel Core i7-6950X (logical 20-core, 3.0 GHz) are shown to push performance a bit further, but at diminishing returns for the price difference. In the sense that the best computer for video editing is largely a price-to-performance proposition, processors with 16-20 cores only add value when Premiere Pro is used with in tandem with another program such as After Effects, for example. In this case, a good bang-for-buck CPU is an Intel Xeon E5-1650v3 (logical 12-core, 3.6 GHz) or Intel Core i7-5820K (logical 12-core, 3.5 GHz)—both provide a good mix of cores and clock at a reasonable price. It’s all about value. Motherboard sockets: Intel Core i7-6000 ‘Skylake’ and ‘Broadwell-E’ processors fit the socket type on LGA-1511 motherboards; some of these will require BIOS updates to run properly. Intel Xeon and Intel Core i7-5000K series ‘Haswell-E’ processors fit the socket type on LGA-2011v3 motherboards. Dual Xeons: Big-time television and film production studios use extremely powerful workstations with dual Intel Xeon E5-2600 processors (on a LGA-2011v3 dual socket motherboard), for maxed-out performance using Premiere Pro. This dual Intel Xeon configuration is the vendor-recommended setup for Avid Media Composer when conducting multi-stream AVC video work and 4K video editing. Adding a desktop video card accelerates the rendering process for editing, but is not as important to overall performance as the CPU. Editing programs like Premiere Pro and After Effects are designed to utilize Nvidia’s propriety CUDA framework, therefore Nvidia Quadro video cards tend to work very well. We’re in a historically unique position where NVIDIA Quadro products are the “economic” choice for graphics cards with the market affected by the cryptocurrency boom. At the professional level where time is money, the best computer for video editing benefits from at the very least a Quadro P400 for editing 1080p footage. If working with 4K, consider a Quadro P1000 or higher. Make sure to note the VRAM capacity on the video card as it affects the display resolution. How much system memory (DRAM) is best for video editing? Digital filmmaking programs will perform adequately enough with 8-16 GB of memory when editing 1080p footage. Performance minded professionals that run Media Composer or Premiere Pro alongside complementary editing applications tend to opt for more—16-32 GB of system memory for 1080p and 4K video work, respectively—for more responsive performance. When it comes to motherboards, the long and short of pairing CPU sockets and DIMM slots does not follow an obvious pattern so make sure to evaluate on a SKU-by-SKU basis using filtering tools on the motherboards page. For example, motherboards with the LGA-1151 socket fitted for Intel Core-6000 ‘Skylake’ series CPUs have DIMM slots that support DDR4 memory, though there are a few that use DDR3L. The LGA-2011v3 socket motherboards fitted for Intel Xeons support error correcting ECC server memory; this is not the case for Intel Core i7-5000 family ‘Haswell E’ processors that use regular DDR4. Learn more about finding the right memory for your system if you need help. Placing the operating system and video editing software onto the SSD will result in a noticeable performance boost. Store larger video footage files on a 7200 RPM HDD. To prevent footage loss resulting from drive failure (it happens) it is recommended that you use multiple HDDs in a RAID configuration—Mid-ATX towers have room to store several hard drives internally, or you might consider using an external RAID enclosure if you’re using a laptop for a small form factor PC for editing. Depending on how much data you’re storing and the hardware you have, learn more about the difference between software RAID vs hardware RAID to implement backup and restore plans. Do note if you’re video editing in a professional capacity, experts recommend a hardware RAID solution as it puts less of a strain on CPU resources, which are critical for running video editing software. Use this handy tool to calculate the Wattage for the sum total of your computer components when choosing a PC power supply, and add 10-20% to ensure the PSU has enough head room. I used reviews, sales metrics, and price per Watt to determine the best value PSUs. Value is important, but the best computer for video editing should far exceed the minimum system requirements of the software. This will provide only a sluggish, bare-bones level of performance. If you are using these applications in a professional capacity, time is money. A responsive user experience requires a system with a multi-core CPU and plenty of DRAM, but don’t go overboard for the type of work you are doing. Achieve a balance between components and budget; then you will find the best computer for video editing. This article in an example of someone not actually in the business, rather put together by searching around the web. The article fails to mention how many PCI-e lanes that each CPU supports. This is very important because most editors will want a separate card for output monitoring that is 30 bit and supports true 4K. The author tells you to look at the difference between on-board and dedicated RAID. Dedicated RAID is the only way to go. On board RAID uses significant CPU resources and is not recommended for anything other than a RAID-0. The author claims you don’t need a Quadro card for AVID Media Composer. That is not true. While Media Composer will ;’start’ effects playback will be slow. 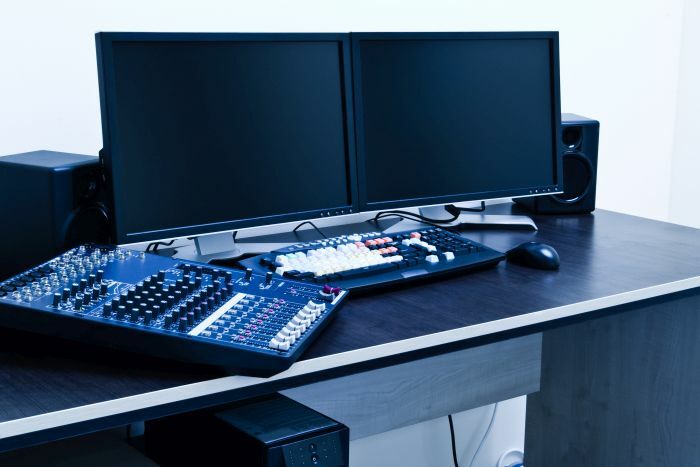 Media Composer does REQUIRE a Quadro if you ever need to talk to AVID tech support, Without a Quadro, your system is not ‘qualified’ according to AVID and ANY problem you have will be blamed on that issue and they will not talk to you. If editing is just a hobby, follow this author’s advice. If your livelihood depends on the correct hardware, then contact a company like mine that specializes in this type of hardware. Blaine, thanks for your feedback here. I consulted several system builders in video production to draft this article. Since you seem to have a lot of experience in the field as well, I have incorporated your tips and feedback. Cheers! Please contact me because I am looking to buy a computer for video editing. I did miss your title, about editing on a budget. My comments where more geared towards someone in business. you have my gratitude nonetheless. Can you please suggest same with AMD PROCESSORS? This was very detailed and although I was able to follow along, I’m not advancedly tech saavy. Considering all factors, in your professional opinion, can you give me a few purchase suggestions for under $1000? I do light video editing but I’m looking to grow my skills so something in between, perhaps. Thank you very much, more than useful for me, very important information which I really looking for fro along time… Thank you again sir.